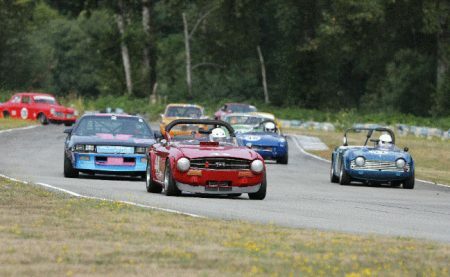 Vintage Racing Club of BC | 2018 BCHMR Date Announced! 19 Dec 2018 BCHMR Date Announced! The VRCBC is very pleased to announce that the expected dates for the 2018 British Columbia Historic Motor Races (BCHMR) will be the weekend of August 18th and 19th, 2018 at our home track, the Mission Raceway Park Road Course, Mission, BC. There will also be a Practice Day (open to all racing cars; not just Vintage) on Friday August 17th. The BCHMR provides an action-packed weekend with plenty of racing for all classes of Open Wheel / Sports Racers and Closed Wheel racing cars at a very affordable entry fee. Check the BCHMR’s own web site (here) for regular updates. Update: Our first press release is now online on Inside Track Motorsport News (here). Watch for it in the magazine soon. We wish everyone a great racing season and we look forward to seeing you in August. And mark your calendars now!